What it is: This androgynous look takes power-suiting to a whole other level. 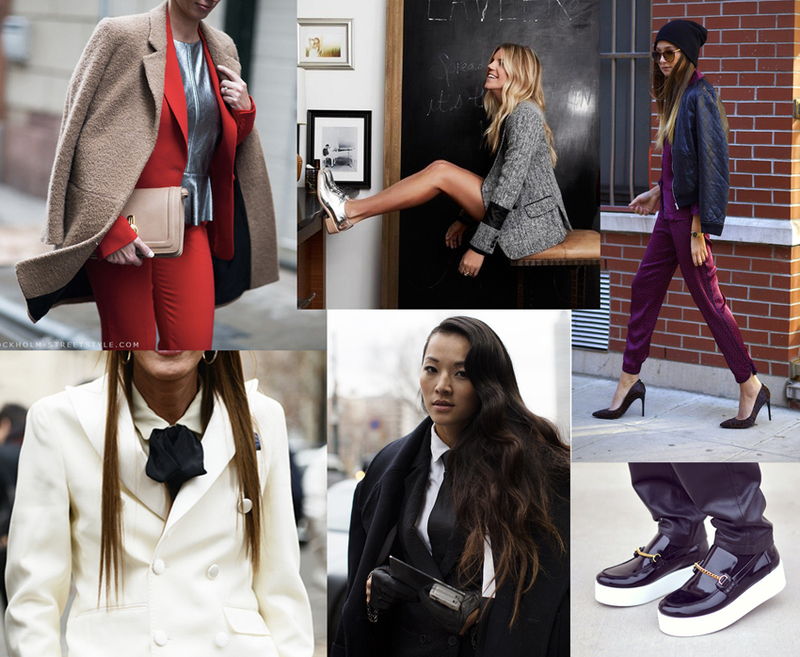 Bright/printed/monochromatic suits, chest-baring blouses, collars and bow ties, and a little bit of leather. There's nothing butch about this. Why it's RAAD: Never mind the fact that it's feminine, edgy and seductive without having to wear a mini. But the RAADest thing of all is that it's completely effortless and unexpected. If you want to make a statement without trying too hard, this is how you do it. When to wear it: The obvious answer: for work. Interviews, meetings, presentations...anything that requires a more sophisticated dress code. But you gotta take this look outside of the office if you really want to look RAAD. Pair your suit with a crop-top for cocktail hour. Or wear leather flats with a skinnier leg to lunch downtown.